Holy Cow! Technology is awesome when it works! So I have been MIA for quite a while due to a problem with my computer! Yes, I need to go buy a new one…so go buy all my books a hundred times, please. I’m just kidding. So, I thought I would take this opportunity to write a little post. Life has been crazy. I’m sure you all know what I’m talking about. This girl is happy that school has started and all the pressures of the summer are over. Now, I can concentrate on some of the important things…like writing. Oh yeah, and that school thing. I miss interacting with all of you each day. I’m so sorry to have been gone so long. The positive side is that Noble Courage has been re-edited so I’m excited to bring you the new version! We are still working our way through the rest of the series, but I felt Noble Courage needed it the very most. 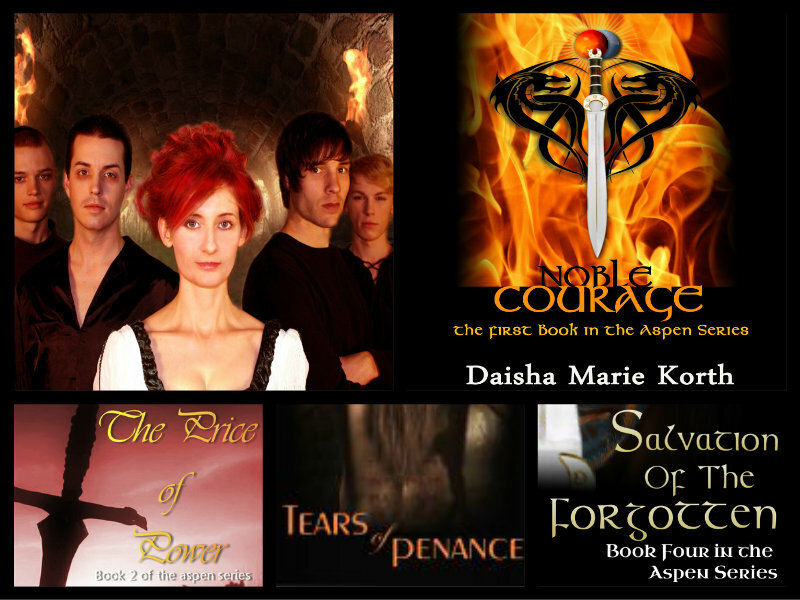 You know, it has been nice to connect with my characters again as I slowly forge forward with the last book of The Aspen Series, Key of the Kingdom. Often times, I think we have our eyes set on the goal line, finishing that long labored project and we lost contact with the characters we loved enough to start the first book. My advice? If you are writing a series, return to that first work often. If you have a favorite part, read it again and again. Stay close with the people of your imagination and don’t rush that final installment of a series. Show the reader you love them as much in the last book as you did in the first. Feel free to pick up my works at Amazon in the Kindle section!